Today was Day #7 of Chocolate and Currants Theme Week, and Day #3 of Chocolate and Poetry Theme Week. 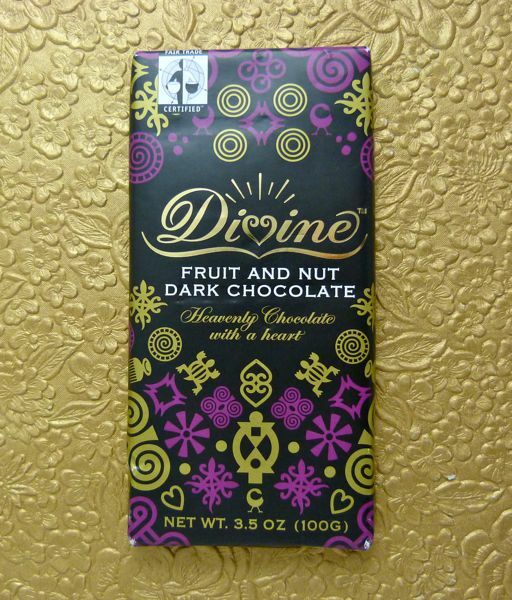 This afternoon, I tried Divine Chocolate's Fruit and Nut Dark Chocolate bar -- that incorporated currants and chopped almonds in a dark chocolate base. 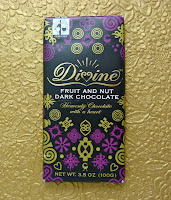 Divine (with offices in London, and Wash., D.C. in the U.S.) is a long time supporter of Fair Trade, and building positive relationships with cacao farmers. 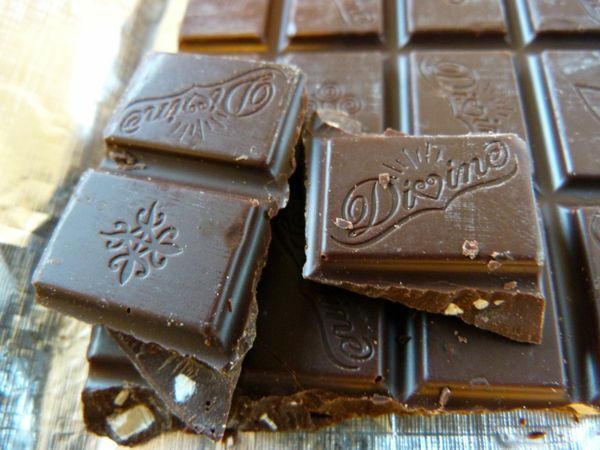 In fact, the Kuapa Kokoo farmer's co-op in Ghana (the primary source of cacao beans used to make Divine chocolate), has a significant ownership stake in the company. Divine has also supported an annual poetry contest, for students of various ages, for the last decade, with the Christian Aid organization. 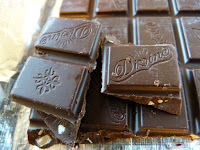 Divine Chocolate executives talked about the 2012 Divine Poetry Competition, and award-winning writer and judge, Frank Cottrell Boyce, read winning entries, toward the end of this video earlier in 2012. "...One of the things that chocolate and poetry have in common is that they do these lovely things to your mouth..."